Over the past several years, we have heard the word “parity” thrown around quite a bit, especially in the world of sports. Professional teams like the Montreal Canadians, the New York Yankees, the Boston Celtics and Los Angeles Lakes, and at various times in the NFL, the Cowboys, Steelers, Packers and 49ers, have all enjoyed long success in their respective league. While the fans in those towns may enjoy the dynasties that were built, other cities and executives within each of the four major sports leagues would rather see the wealth spread around a bit to other teams. Back-to-back titles have happened in each of the four major sports in the last two decades. 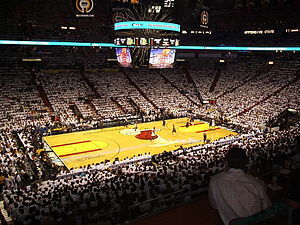 The Yankees won three straight titles in the late ’90’s; the Patriots won back-to-back Super Bowls in 2004 and 2005 (there has not, however, been a team that has won three straight Super Bowls); the Lakers won three consecutive NBA titles earlier this century (and the Miami Heat are hoping for a third straight title this year); and, the Detroit Red Wings won back-to-back Stanley Cups in 1997 and 1998. But those days when a franchise won five or more straight championships are very much a distant past. So which of the four major sports in the last 20 years has seen the “most” parity? Let’s start the discussion with a few numbers. Different champions: Of the four sports, the NHL has had 13 different franchises win the Stanley Cup in the last 20 years. The NFL is close behind with 12 teams winning at least one Super Bowl in the past two decades. The World Series has been won by 11 different teams since 1993, while the NBA Championship has seen only eight franchises hoist the title trophy since 1993. Slight advantage to the NHL. Repeat champions: Of the four sports, the NFL has had the most repeat champions (teams that won more than one title) in the last 20 years with seven (Baltimore, Dallas, Denver, Green Bay, New England, New York Giants and Pittsburgh). The other three sports have each had five repeat champs in the past 20 seasons. No advantage. Back-to-Back titles: In the past 20 years, the NHL has had the fewest consecutive titles by a team, one. That happened in 1997 and 1998 when the Red Wings won back-to-back titles. It has happened only twice in major league baseball in the last 20 years; it has occurred three times in the last 2o Super Bowls. 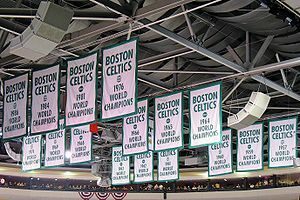 In the NBA, there have been seven times when a team won back-to-back titles (on two occasions, those teams won a three-peat). Advantage NHL. So based on these three factors, the NHL, in my opinion, has had the most parity over the past 20 years. First, the defending Super Bowl champion Green Bay Packers lost their first playoff game to the New York Giants. Then the defending Stanley Cup champion Boston Bruins lose their first-round series to the Washington Capitals four games to three. Finally, the defending NBA champs, the Dallas Mavericks, were swept in a four-game first-round series to the Oklahoma City Thunder. Since we have each of the eight seeds (No. 1, No. 2 through No.8) represented in the second round, how well has each seed done in previous Conference Semifinals? Following are the series records of each seed in the second round from 1994-2011. 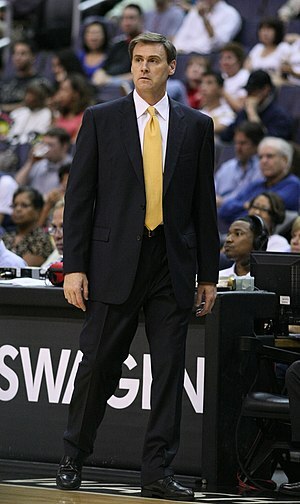 (The playoffs in 1994 was the first year the league ranked eight teams from each of the two conferences No. 1 through No. 8, the current playoff format.) Notice how the No. 2 seed has the best series record since 1994; also notice how well the No. 6 seed has performed in the second round. No. 1 vs. No. 4: Series tied at 2-2; No. 1 vs. No. 5: No. 1 has won five series and lost two; No. 1 vs. No. 6: No. 1 has won two series and lost three; No. 1 vs. No. 7: No. 1 has won eight series and lost one. No. 2 vs. No. 3: No. 2 has won nine series and lost two; No. 2 vs. No. 4: No. 2 has won one series and lost two series; No. 2 vs. No. 5: series tied at 1-1; No. 2 vs. No. 8: No. 2 has won all three series. No. 3 vs. No. 4: No. 3 has won five series and lost three; No. 3 vs. No. 5: No. 3 lost the only series; No. 3 vs. No. 8: No. 3 has won both series. No. 4 vs. No. 6: Series tied at 1-1; No. 4 vs. No. 7: series tied at 1-1; No. 4 vs. No. 8: No. 4 has won two series and lost one. No. 5 vs. No. 6: No. 5 has lost only series; No. 5 vs. No. 8: No. 5 has lost only series. No. 6 vs. No. 7: Series tied at 2-2. Did you know? The higher seed has won the 64.7 percent of the NHL Conference Semifinals series from 1994-2011. As mentioned above, each of the eight seeds (No. 1 through No. 8) have a team playing in the second round. This is the fourth time this has happened in the second round of the playoffs since 1994 (1995, 1999, 2006 and 2010). The No. 2 seed in 2010 and 2006 won the Stanley Cup that year… could this bode well for the St. Louis Blues? The National Hockey League playoffs are underway. Two series, Los Angeles-Vancouver and Pittsburgh-Philadelphia, still have the potential of a four-game sweep as the #8 seed Kings hold a 3-0 series over top-seeded Vancouver, and the Flyers are up three games to none over Pittsburgh. In the other six series, there is still the potential of the teams taking the series to a deciding seventh game. Following is a stats snapshot of NHL playoff series going back to 1987 (the year all playoff series went to seven games) with a focus on four-game sweeps and series that go to a deciding seventh game. 1. Four-game series sweeps: There have been 25 four-game sweeps in the first round of the NHL playoffs since 1987. Teams that win the first round in a four-game sweep won 11 series and lost 14 series in the next round. 2. Seven-game series: There have been 52 seven-game series in the first round of the NHL playoffs since 1987. Teams that win a first-round series in seven games won the next series 23 times and lost the next series 29 times. 5. Four-game sweeps: There have been six four-game sweeps in the conference finals from 1987-2011. Those six teams went on to win the Stanley Cup three times and lost the Cup three times. 6. Seven-game series: There have been 12 seven-game series in the conference finals from 1987-2011. Eight of the 12 teams went on to win the Stanley Cup; four lost the next series. Did you know? In the 24 Stanley Cup finals since 1987, eight of the series went the full seven games. 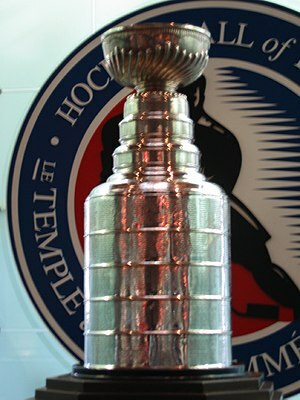 In six seasons, the Stanley Cup champion won in a four-game sweep. Note: In all NHL playoff series from 1987-2011, 55 ended after a four-game sweep; 97 went the full seven games. Note #2: Last year, the Stanley Cup champion Boston Bruins became the first team in NHL playoff history to win three playoff series by winning a decisive seventh game. Ironically, they won their fourth series (a semifinal series win over the Flyers) with a four-game sweep.